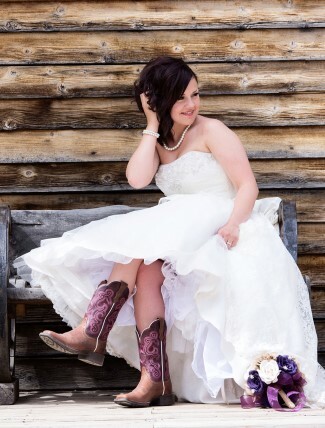 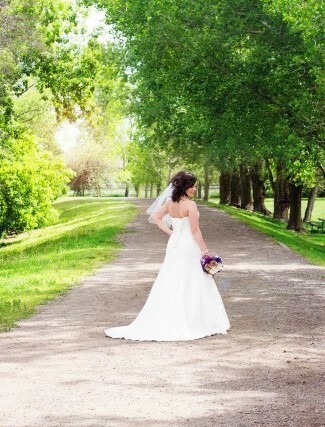 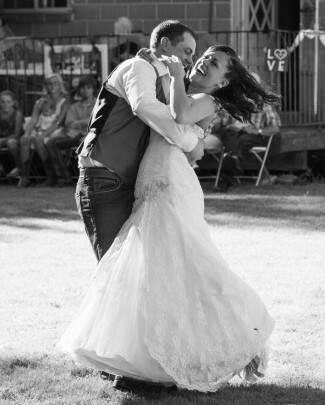 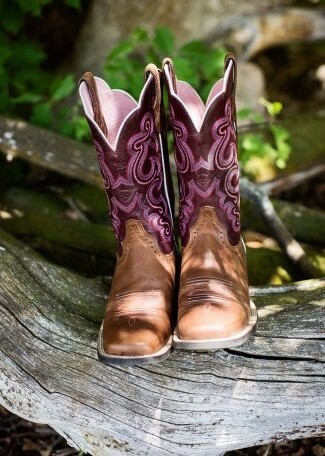 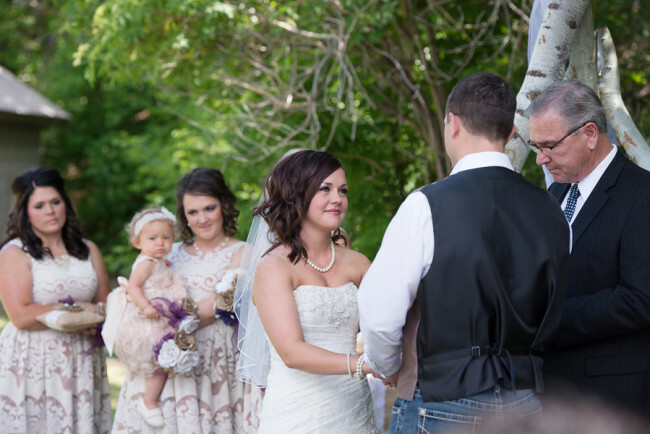 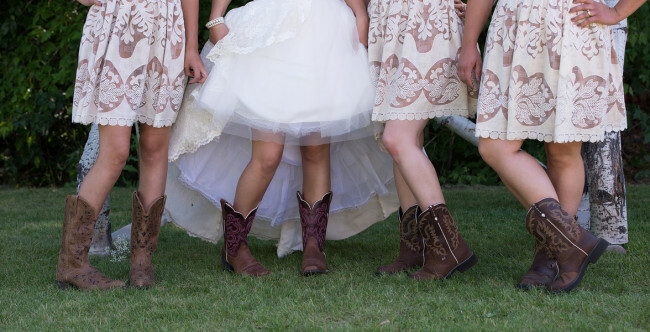 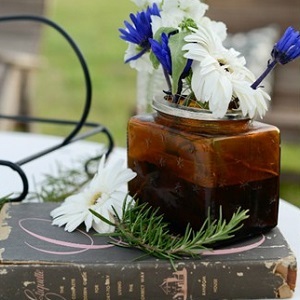 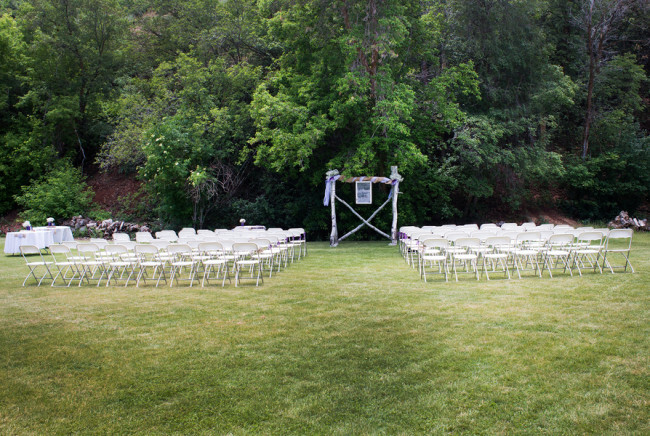 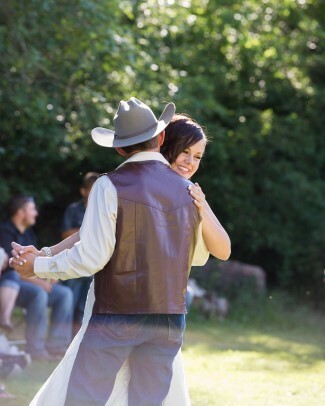 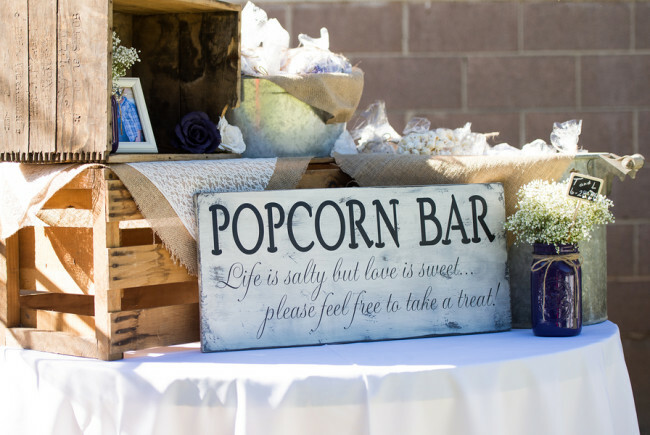 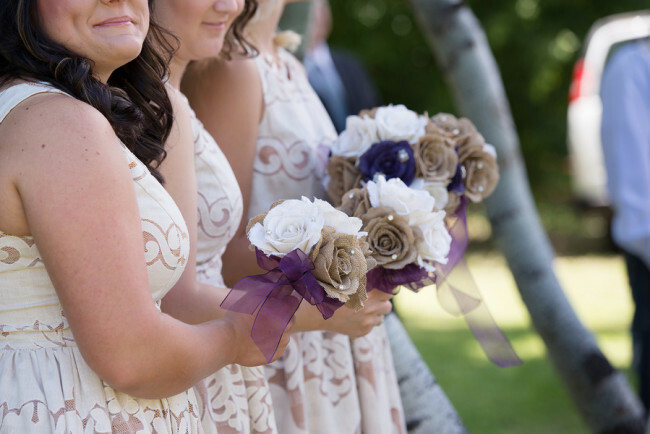 We love the rustic cowgirl flair of today’s wedding at Lions Lodge in Utah. 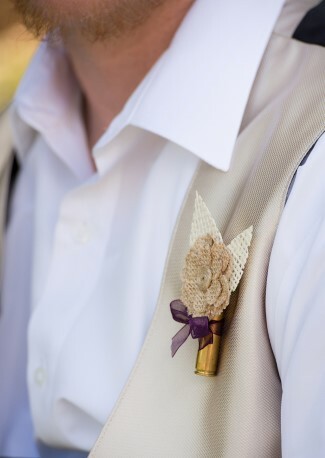 An abundance of DIY burlap projects for you to try your hand as well: burlap flower and gun shell boutonnieres (never thought I would write about that combination! 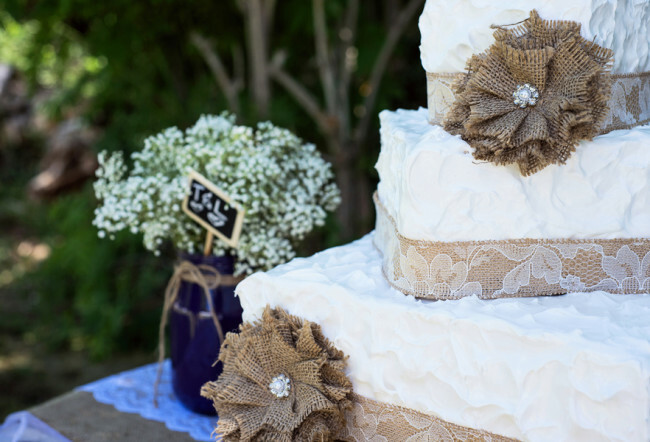 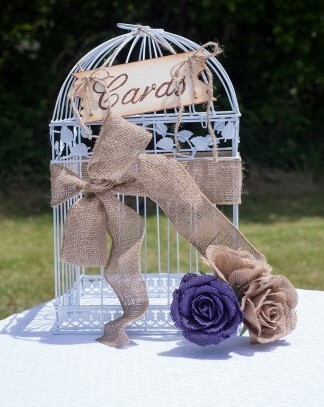 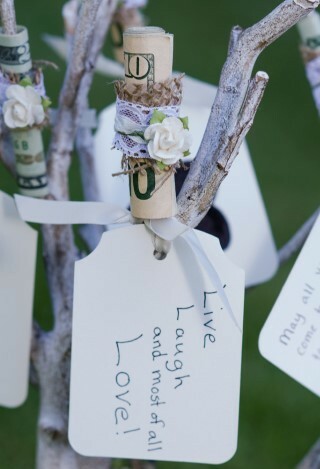 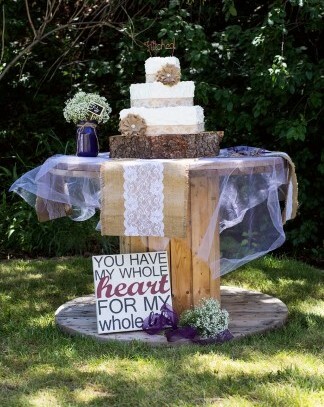 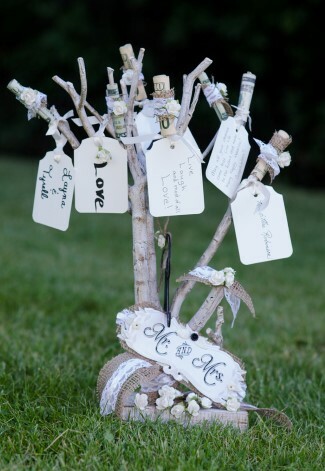 ), burlap rose bouquets, and burlap decor on the wedding cake!